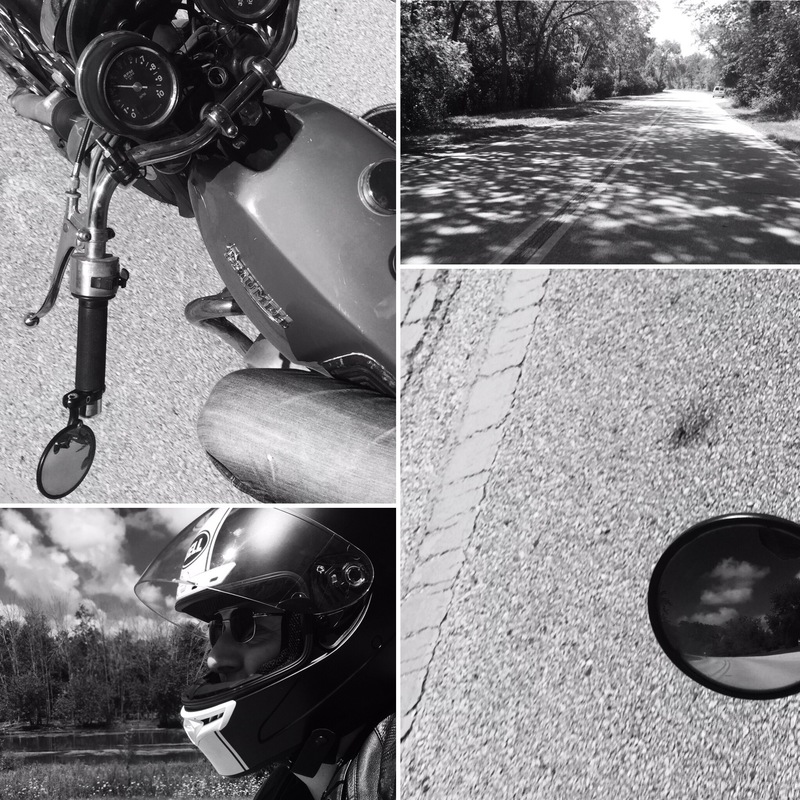 Black ‘n’ White – clouds in greys, blue skies in black and a road of dappled texture. 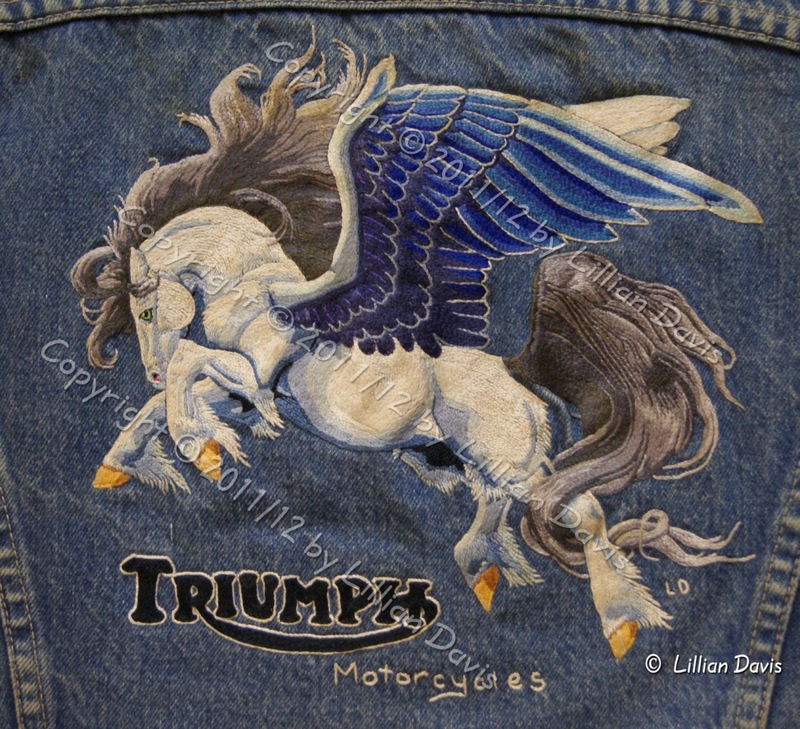 A couple of hours spin cleared the cobwebs and recharged a summer heat-worn psyche. 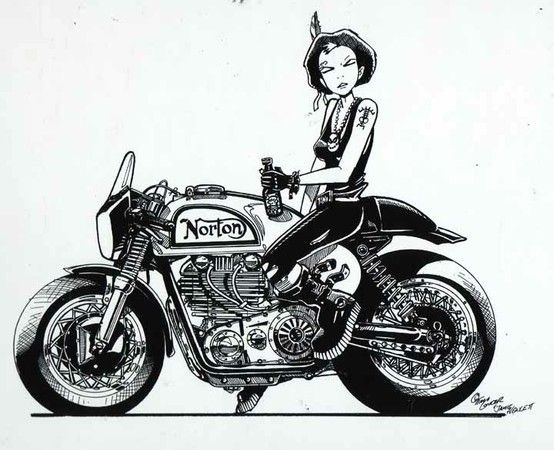 Norton – fine illustration by Jamie Hewlett, he of Tank Girl and Gorillaz, of a surly lass on a heavy duty Donny Park beast. Lithe lass with beefy tank and beefier wheels. This week at the National Democratic Conference many notable people gave a voice to their thoughts in support of Hillary Clinton. One of those voices was the halting words of Gabby Giffords. One time Senator of Arizona who survived an assassination attempt. 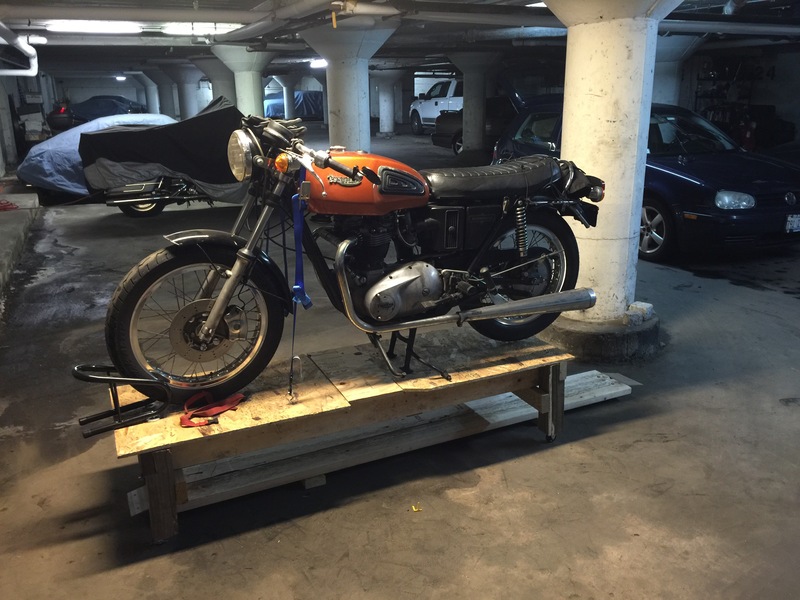 She recently brought home her restored BMW /5 750. 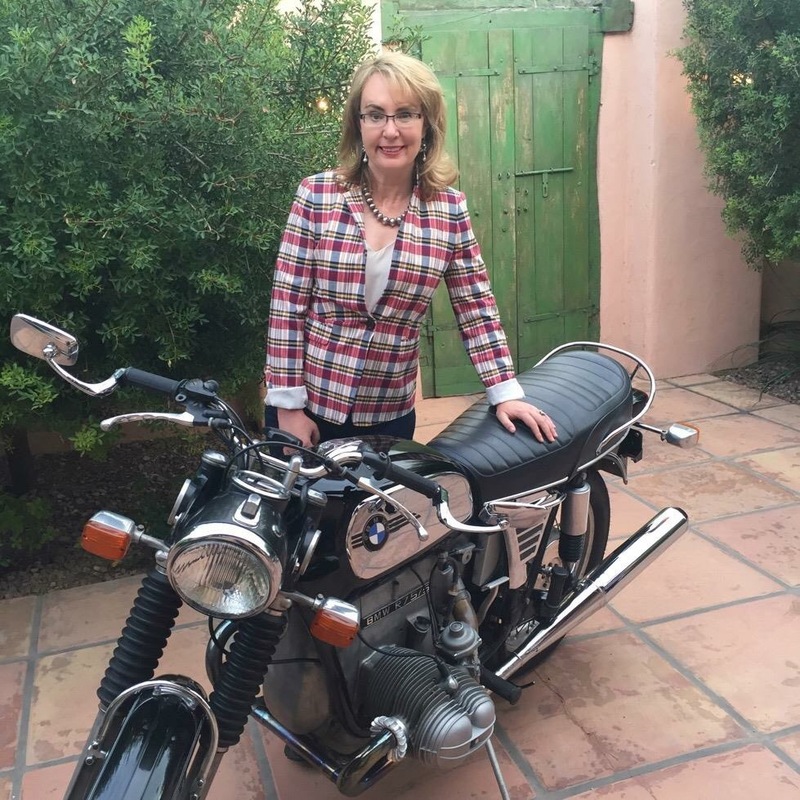 Beautiful bike, strong woman. 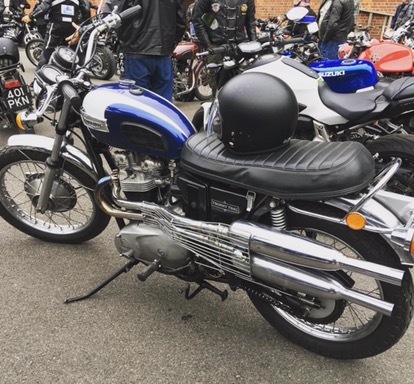 High Pipes – I dig the routing of the exhaust on the sublime Triumph Trophy. Cover up! 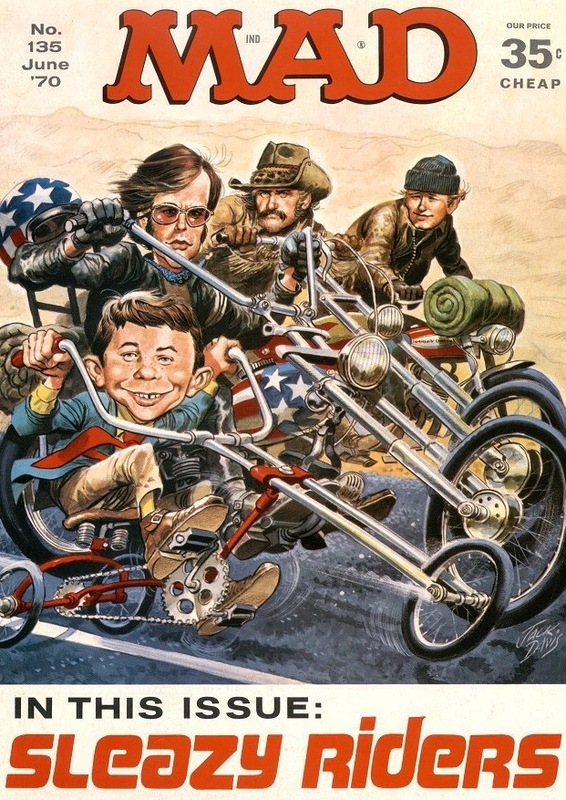 This would be a neat tarp for the Bonnie. 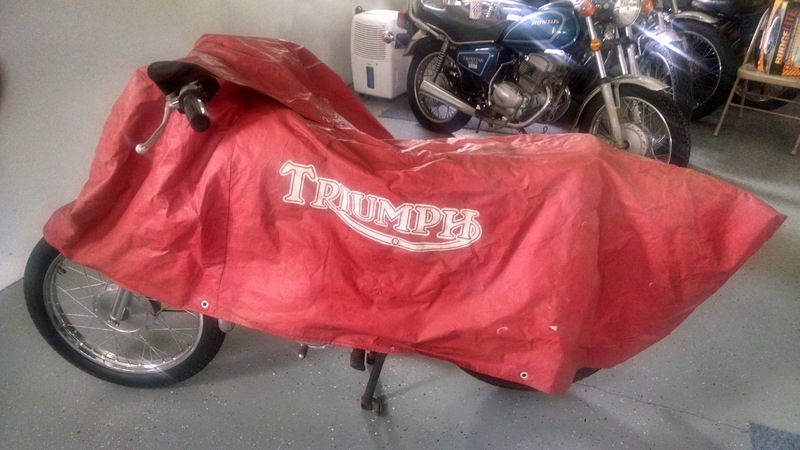 A red bike cover with the marque logo emblazened across it. Mad Dogs- the weather is hot and humid, far too muggy for my constitution. A northern bloke needs overcast 50’s. Pity it wasn’t dry heat like the SoCal desert. 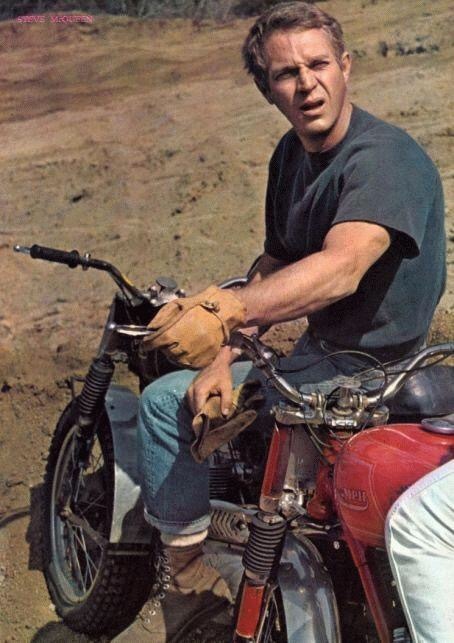 Steve knows how to enjoy the heat: ride a Triumph desert sled! 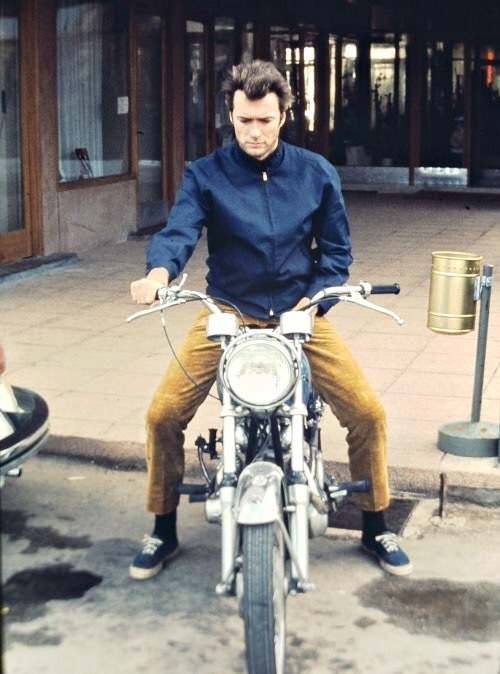 Clint Eastwood: The Man with No Name. I’m watching one of my favorite spaghetti westerns: The Good, The Bad, and The Ugly. Only horses and gunfights in that, so here is Blondie on another ride. This is a 750 Norton Commando. 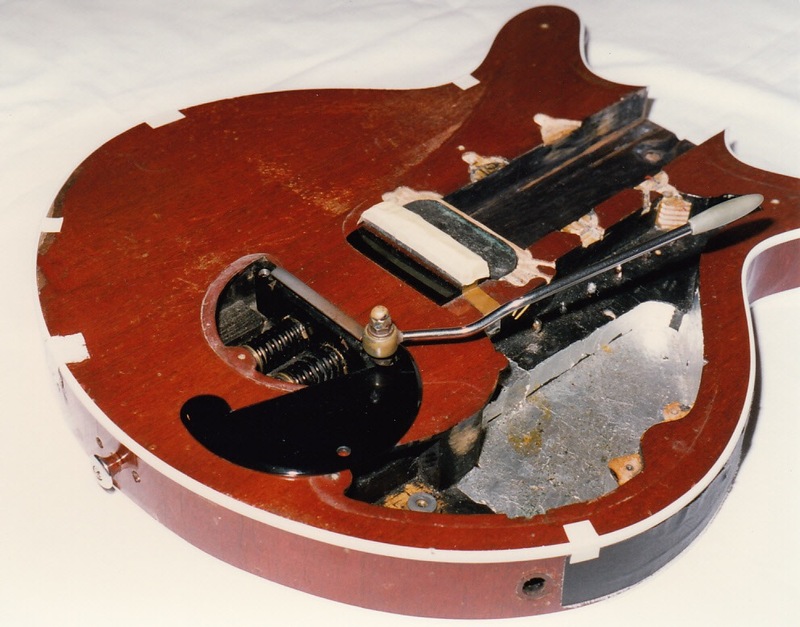 The Fireplace – Brian May’s guitar, was made by him and his father Harold back in the sixties. 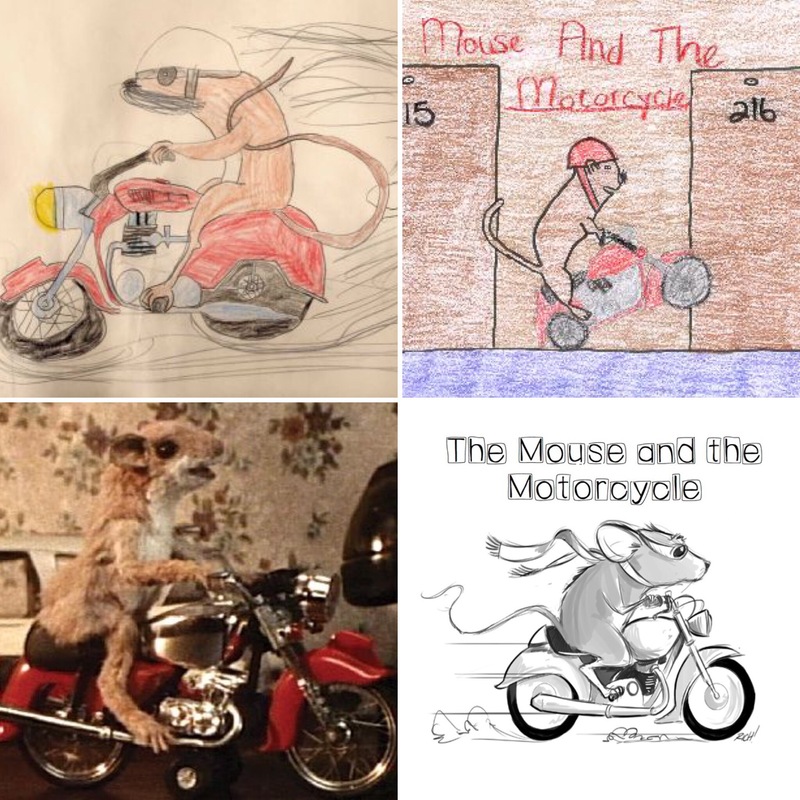 It has created, with the magical touches of a musical maestro, some of the greatest sounds of the late Twentieth Century. 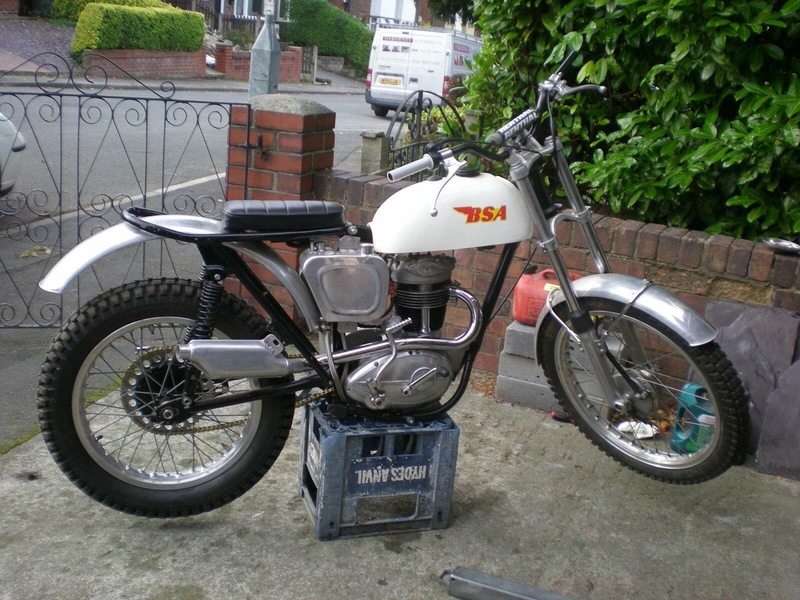 The Old Lady – her secrets were revealed during a full nut & bolt restoration. 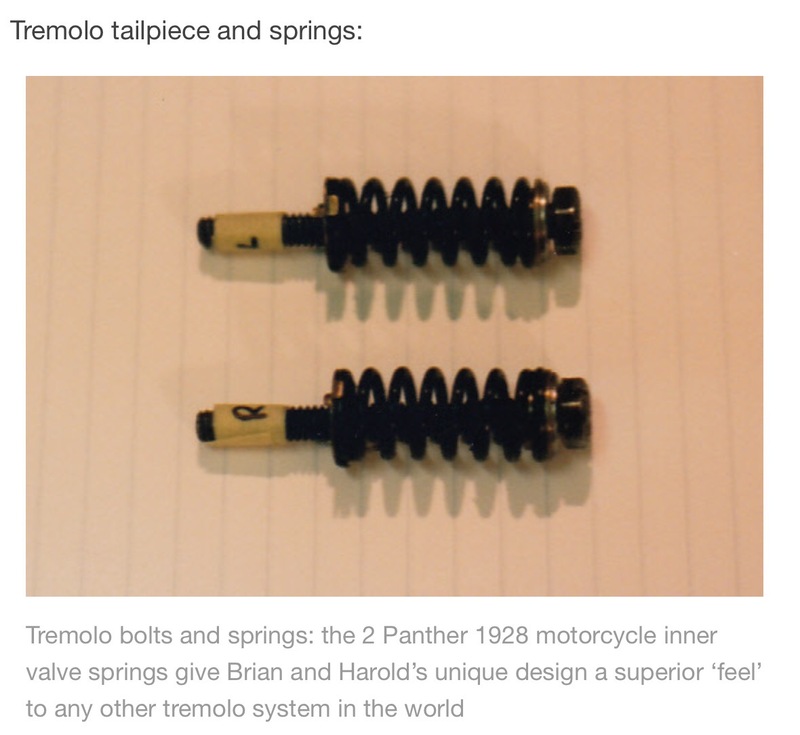 The tremolo arm is sprung by a pair of motorcycle valve springs from a 1928 Panther. 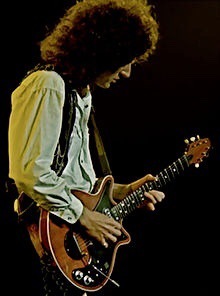 Happy Birthday Brian! 69 today! 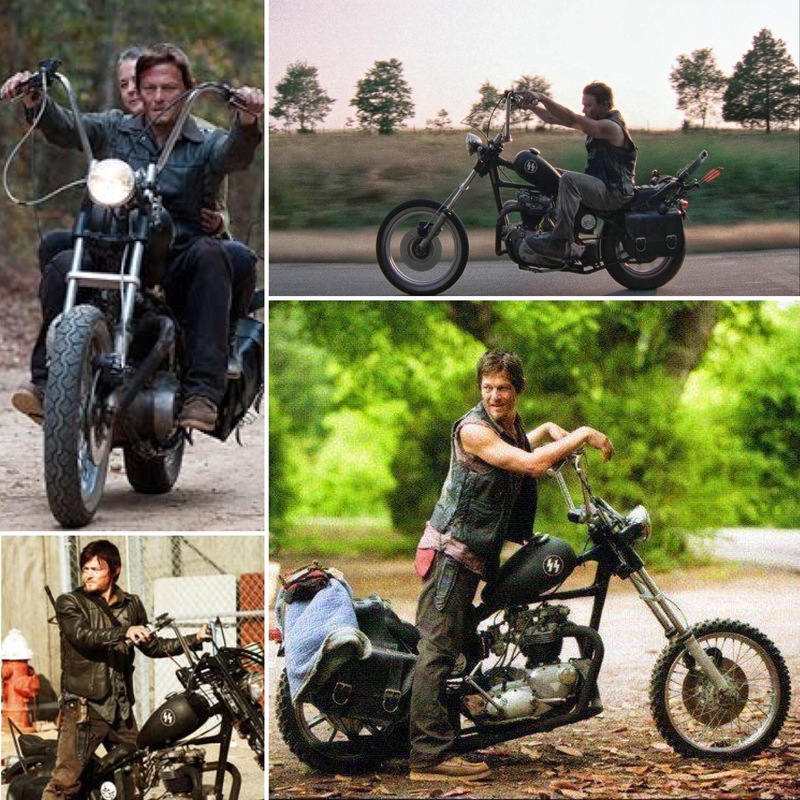 Daryl Dixon – anti hero, expert tracker and Walker killer on the legend AMC show The Walking Dead. 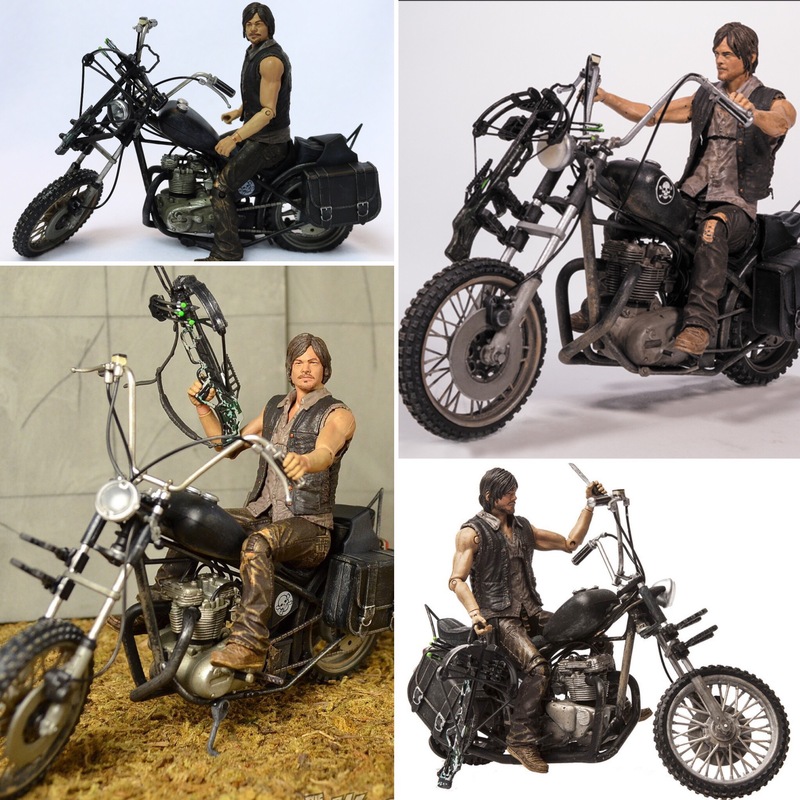 Played by Norman Reedus his transport in a post apocalyptic world is a Triumph chopper; probably what mine would have ended up looking like if it wasn’t liberated from the biker gang in West Chicago. Put finishing touches to my bike work ramp. Made from mostly found scraps it lets me raise the Moto a couple of feet to carry out maintenance without crawling around on my knees. 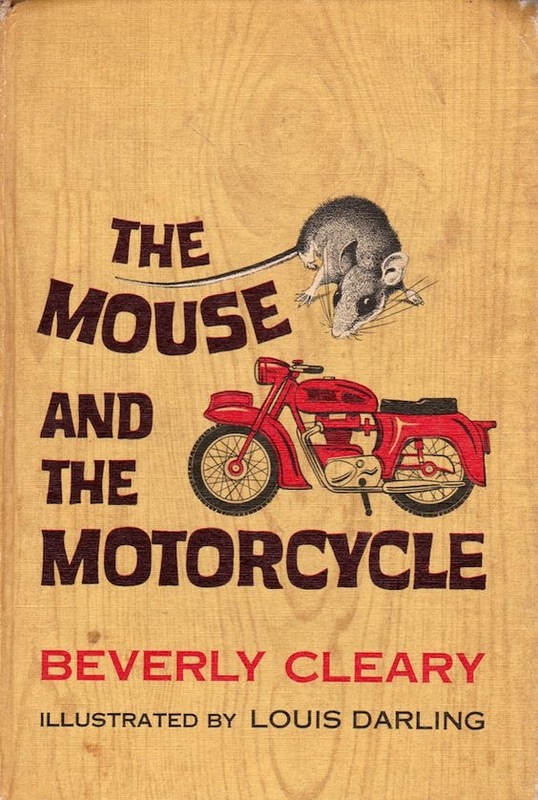 Starting to line up the off-season list of work: replace slipping clutch plates, replace oil lines, oil cooler… But, hey, it’s still only July! 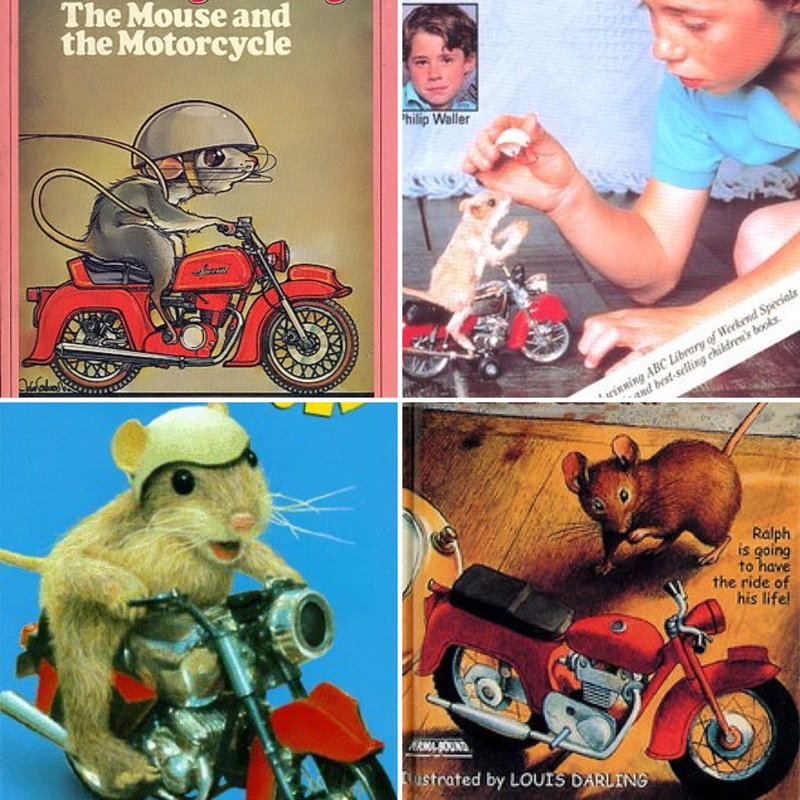 Plenty of riding to do yet!